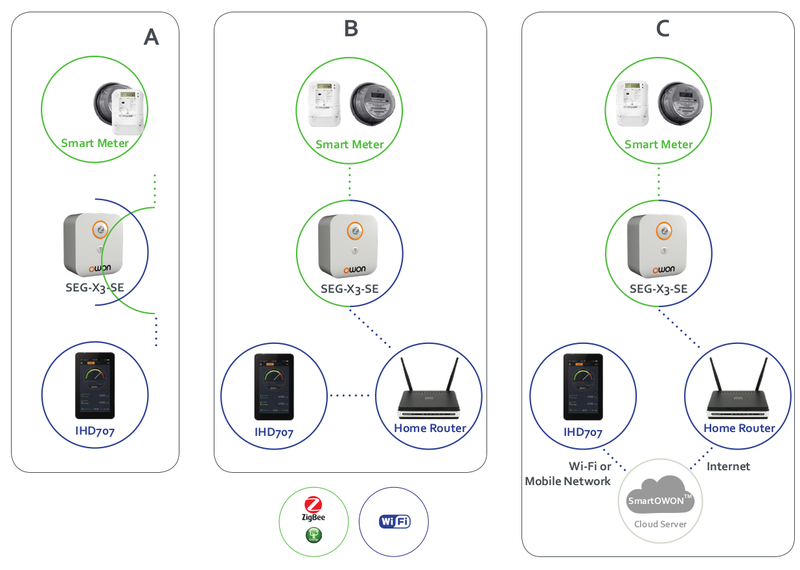 OWON Smart Meter CAD consists of a smart energy gateway SEG-X3, the mobile application and the cloud server. Equipped with both ZigBee & Wi-Fi connectivity, SEG-X3 is able to collect energy usage and pricing information from the Smart Meter; while forward the data to customers’ mobile devices locally or via the Internet. This enables consumers to check on energy usage and receive alerts not only whilst in their house but also anywhere else away from home.